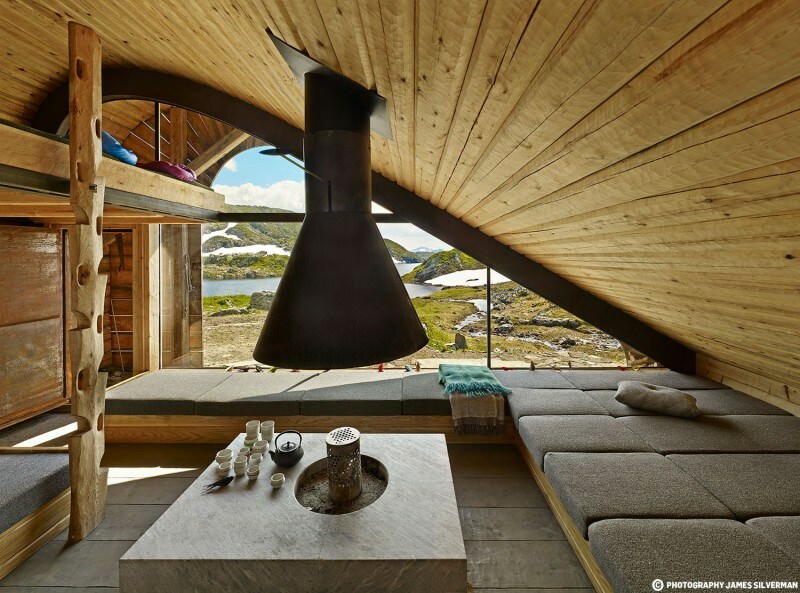 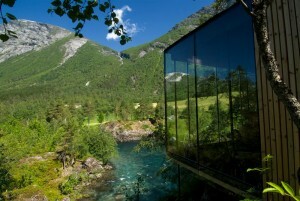 This picturesque mountain lodge is situated on the edge of the Åkrafjorden fjord in western Norway and was realised by the creative minds at Snøhetta. 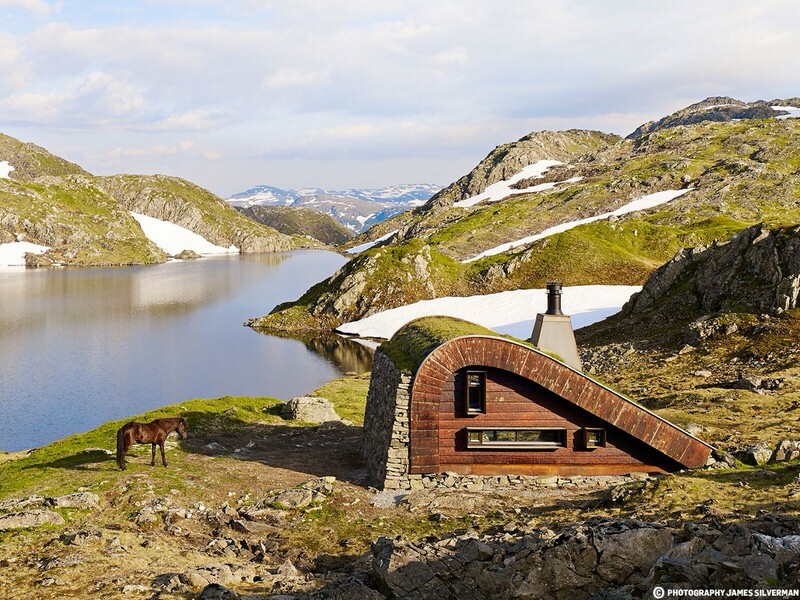 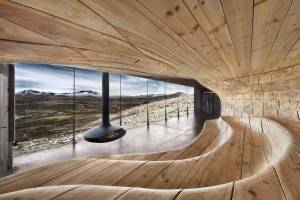 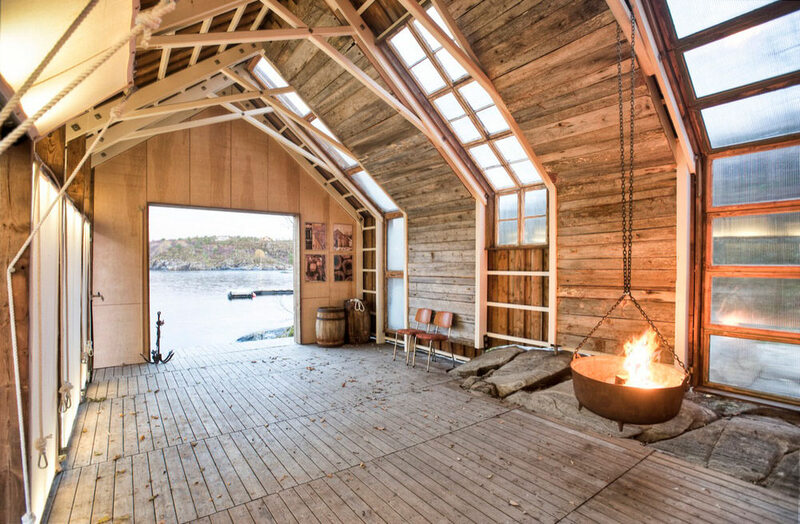 The structure is composed of two curved steel beams spanned by timber, and the architects consider the Hunting Lodge to be ‘a meeting between modern expression and traditional Norwegian mountain cabins.’ This remote shelter is accessible only by foot or horseback making it an especially welcoming destination to reach. 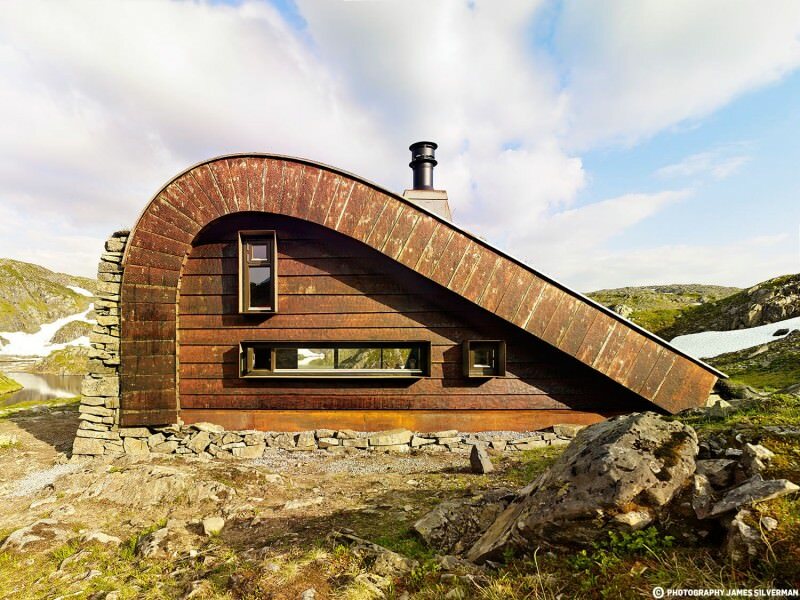 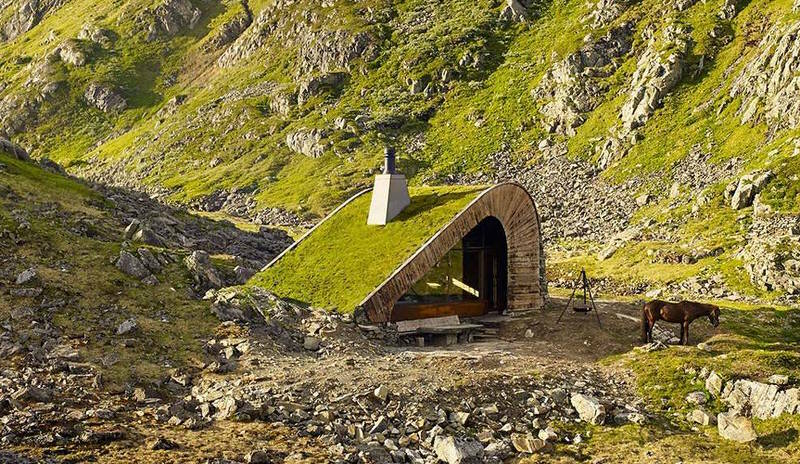 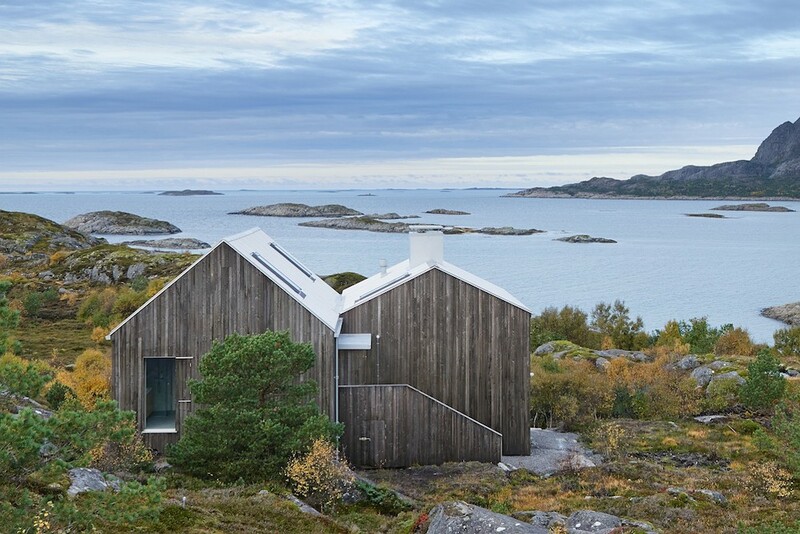 The curved roof of the secluded dwelling resembles a geological fold, while the unusual triangular form bears testament to the hut’s mountainous surroundings. 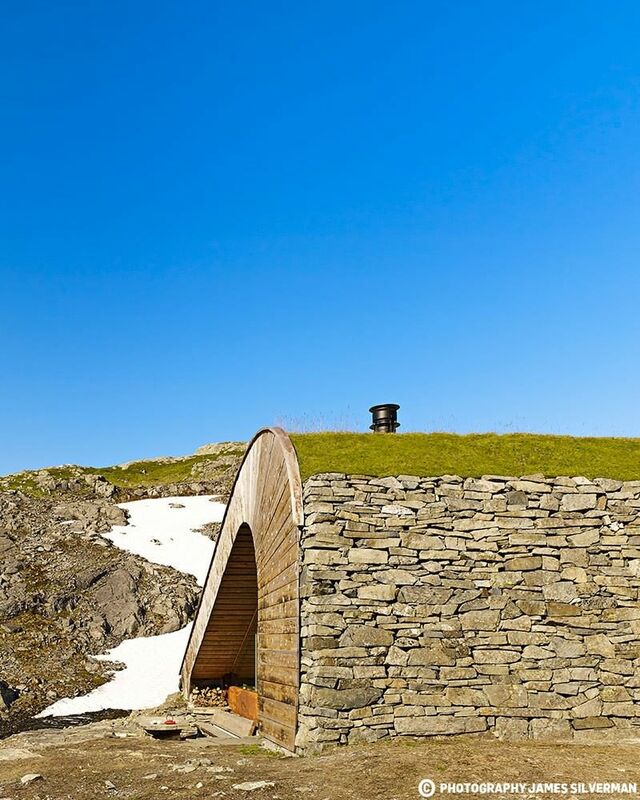 This sloping roof is topped with native grass — rendering the hut virtually indistinguishable from its surroundings at certain angles — while the perpendicular end face appears to be a drystone wall composed of rock sympathetic to the local geology. 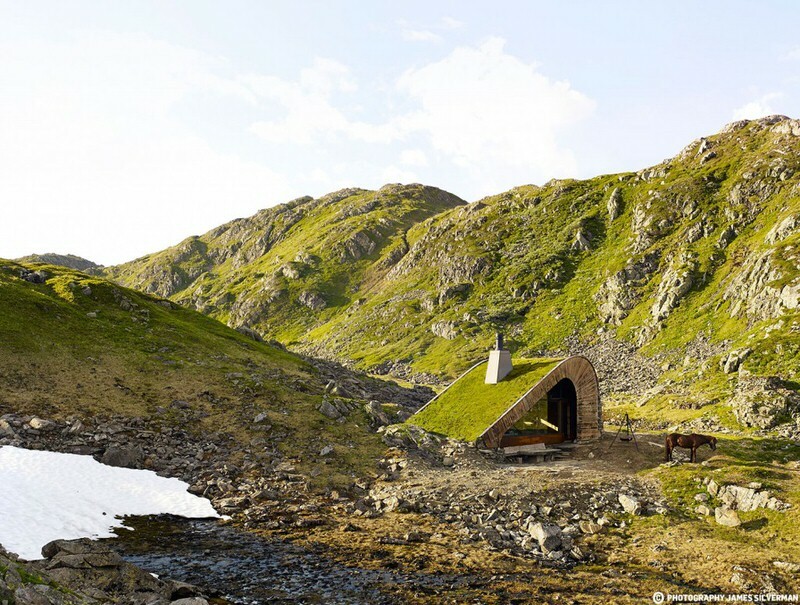 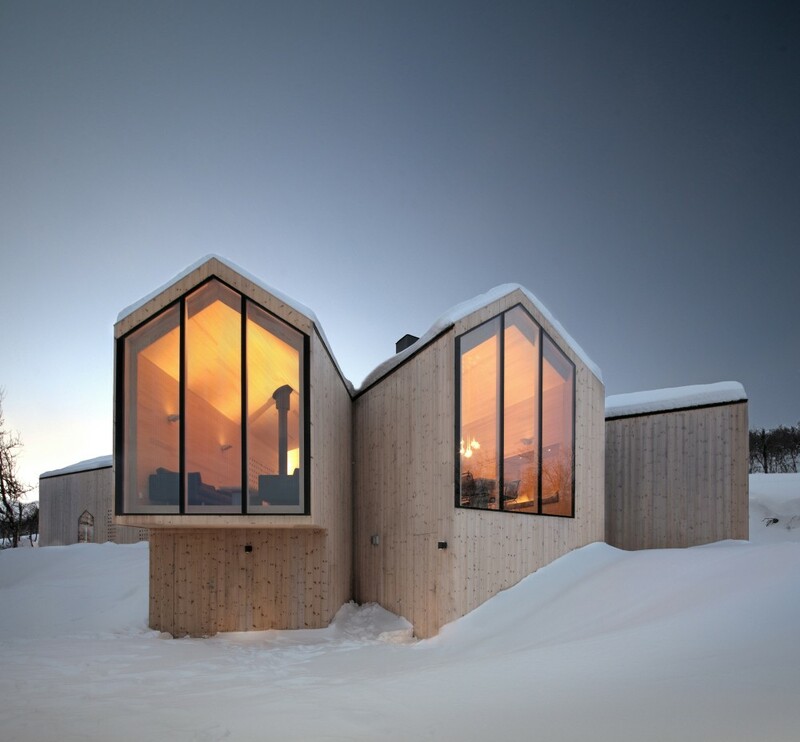 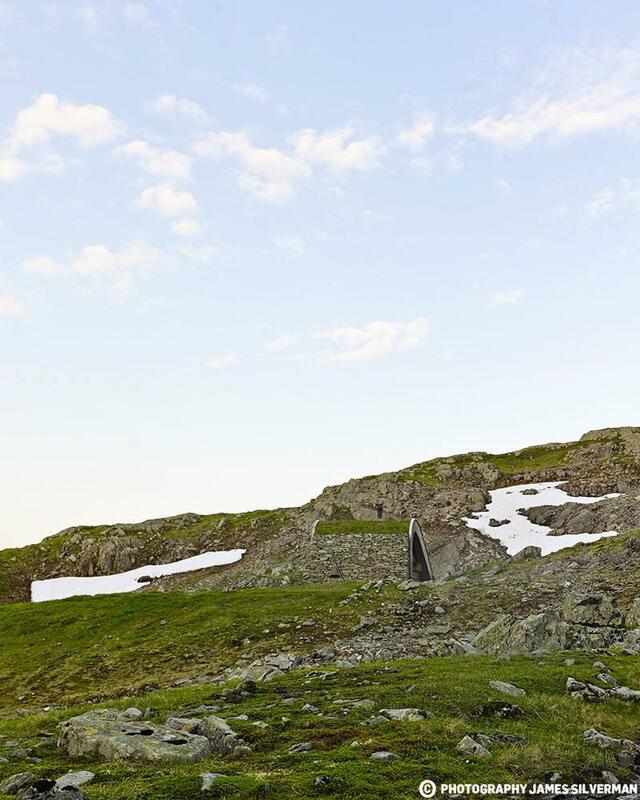 Snøhetta were tasked with building a remote mountain hut, but one with an area of just 35m² that could accommodate 21 guests! 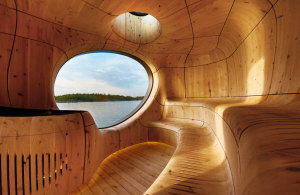 They achieved this by designing the hut/TARDIS around a central fireplace (a tried and tested tradition), and surrounding this communal heart with simple padded bed platforms that also double up as sofa seating during the day. 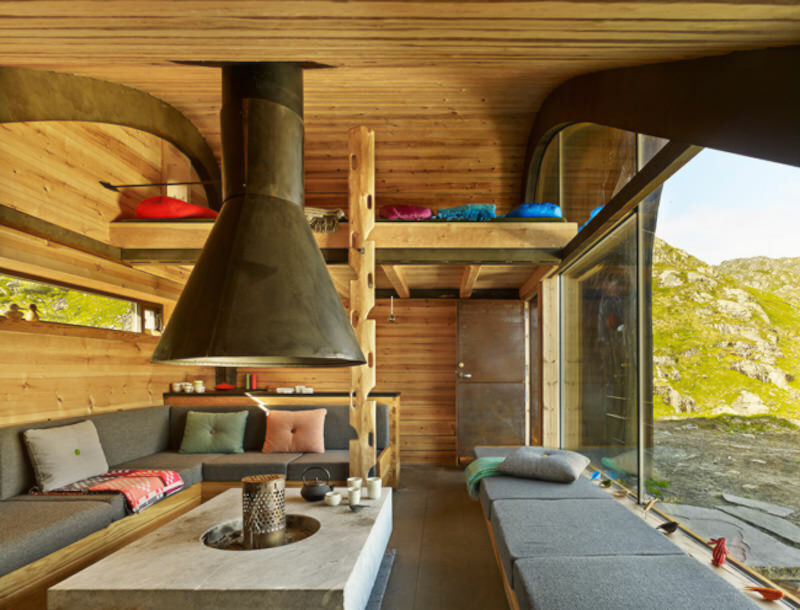 These beds extend to a raised sleeping area which is accessible via an ingenious ladder carved into a supporting timber beam.